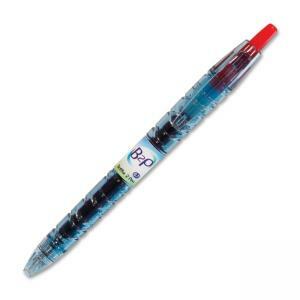 B2P BeGreen Gel Pen is made from recycled plastic bottles and contains 89.9 percent post-consumer recycled material. Vibrant gel ink delivers smooth, effortless writing. Gel pen has a retractable fine point and is refillable for continued use with G2 refills.